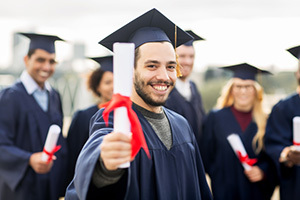 Students at Virginia's Community Colleges (VCCS) have a new tool to help identify career goals and navigate an academic path that leads to on-time degree completion. As part of a strategic goal to triple the number of credentials earned by the year 2021, the system is rolling out EAB Navigate to augment onboarding and advising support for its 252,000 students. EAB Navigate "provides a structured onboarding experience and student-centered tools to help students develop clear academic plans, understand their time to degree completion and communicate with advisers," according to a press release. The platform uses data such as study habits, work commitments and personal needs to create a course schedule that works best for the individual student, and provides a nudge when a student needs to take action to stay on track. In addition, advising and administrative tools are available to help college leaders improve business processes and advising supports. "It is important that community colleges give students intense support before school starts, so students can identify their career goals and choose an academic plan that will get them there quickly," said Scott Schirmeier, executive vice president at EAB, in a statement. "Navigate makes this type of intentional, individualized assistance possible on a large scale by providing students with a self-service platform driven by data and analytics." For more information, visit the EAB site.